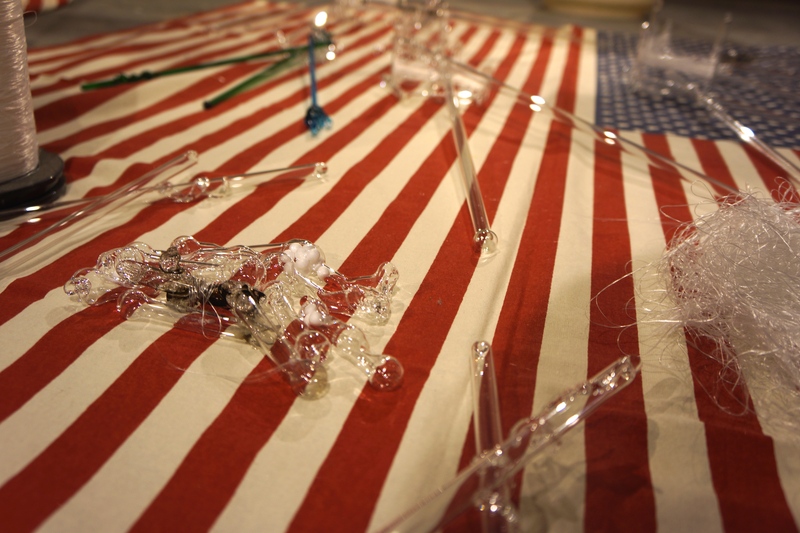 AG Gallery is pleased to announce the Anti-Glassworks exhibition by glass-sculptor Takao Sakata again this summer. This is one of several in AG Gallery’s annual exhibitions presenting Sakata’s soulful glass-work installations. Takao Sakata is a glass sculptor with a long career presenting his glass-work in Shiga, Japan. He introduces to not only his audience, but also to other glass-work artists around the world, the new era of glass-work art which must be created from a strong passion to breakthrough the conventionality of current “glass art”. 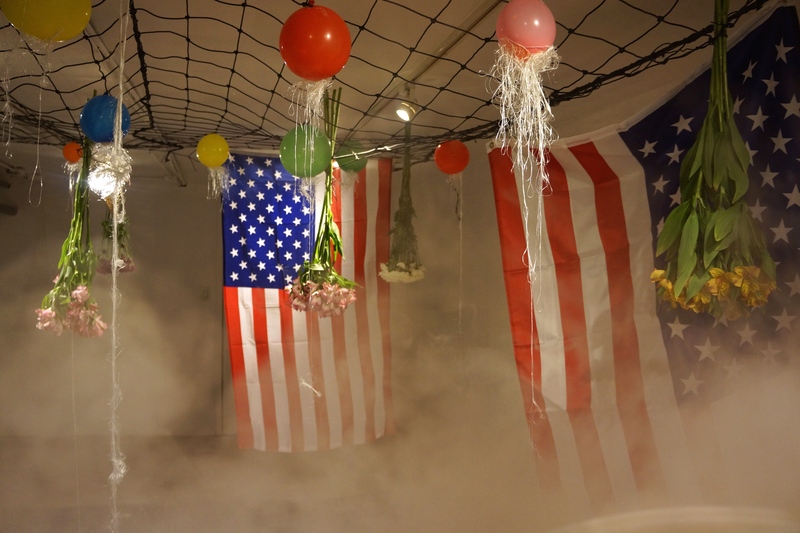 This is the 5th solo-exhibition of Sakata’s work at AG Gallery, and in this year’s Anti-Glassworks Installation the artist visualizes the most trendy topic and concern of the moment, the US Presidential Election, through his point of view. -What is the inspiration for this year’s Anti-Glassworks? 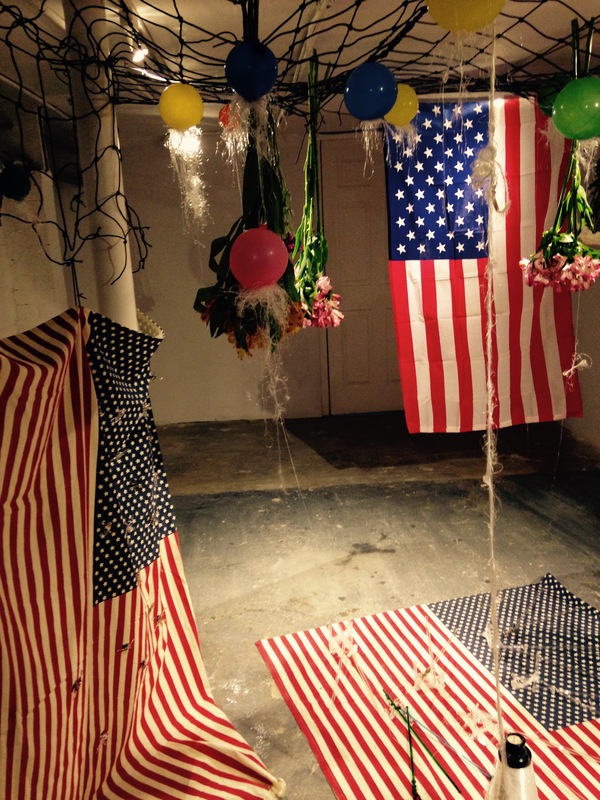 “This year’s Anti-Glassworks are deeply influenced by the United States presidential election. We are probably going to experience a historical moment as we will most likely have the first female president of the United States. I am sensitive to the social movements of other nations, including the United States, just like I care for my own country. I see the social movements as a citizen of the world, and with this perspective I create my work as responses to society. 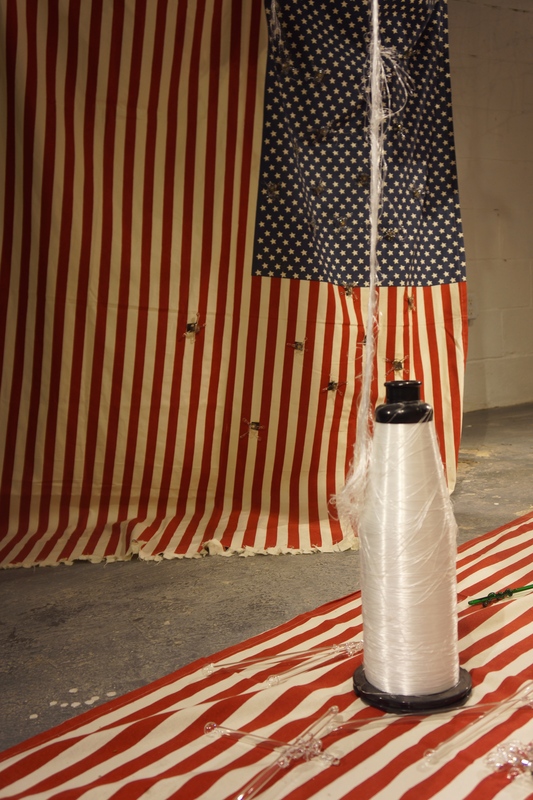 The urge naturally came to me to express my interest in and feelings for the US presidential election as the theme of this year’s Anti-Glassworks installation that will be presented at AG Gallery. 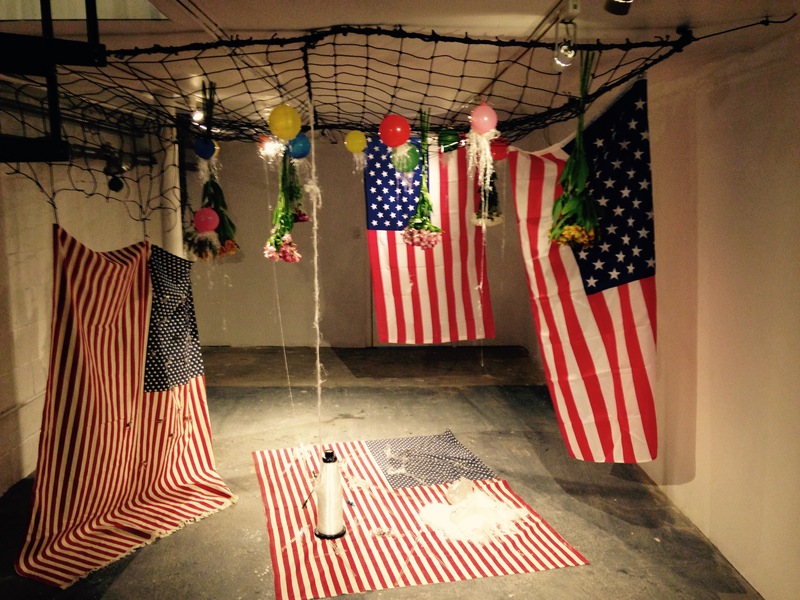 In my installation, Mr. Donald Trump is portrayed as a house of cards. He is a charming person, but there are dangerous sides in his policy. The Trump tower is standing on the verge of collapse. The glass objects around it encourage the tower’s self-control. I will leave the rest to your imagination and understanding. Although I do not have a vote in the election, the result will affect us and the world. This is an exhibition by A Glass Sculotor, Takao Sakata. Takao Sakata is a glass sculptor with a long career presenting his works as glass-work artist in Shiga, Japan. He introduces to not only audience but also to other glass-work artists in the world, the new era of glass-work art which must be created from a strong passion to breakthrough the conventionality of current “glass art”. This is the 5th solo-exhibition of Sakata at AG Gallery. Artists accused a falsehood of an era with their insanity that is inherent in themselves, which is a reason why many Western artists have been respected. Those artists risked their lives through their representations. Social value of artists does not change at any time; artists are useless all the time. 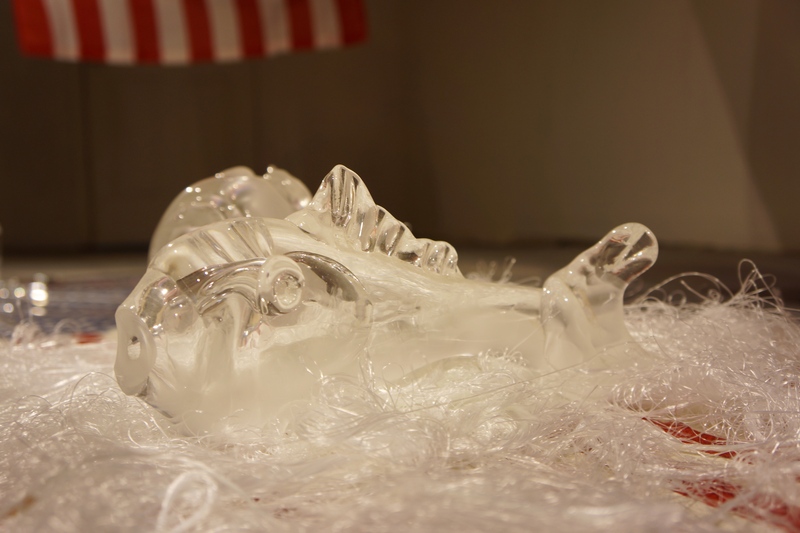 The annual gallery installation “Anti-Glassworks 2015” is on view from August 10 through August 20, 2015. The gallery is open everyday, from 12pm to 8pm. To View more images visit here.